FORT WORTH, TEXAS (January 29, 2019) — Buxton has been appointed by Chicken Salad Chick, a fast casual restaurant chain based in Auburn, Ala., to provide customer analytics that will shape the brand’s market planning strategy. Chicken Salad Chick will use these insights to further understand its best potential customers and to identify and prioritize expansion opportunities throughout the United States. As a Buxton client, Chicken Salad Chick will have access to the web-based Buxton Analytics Platform, which will allow Chicken Salad Chick to score potential sites, visualize market data and run reports to support its growth strategy. Chicken Salad Chick joins a growing list of organizations using the Buxton Analytics Platform as a pre-screening tool for real estate location and market planning decisions. Buxton’s analytics will also be leveraged by Chicken Salad Chick’s marketing organization to identify opportunities in local markets. Founded in Auburn, Alabama, in 2008, Chicken Salad Chick serves full-flavored, Southern-style chicken salad made from scratch and served from the heart. With more than a dozen original chicken salad flavors as well as fresh side salads, gourmet soups, signature sandwiches and delicious desserts, Chicken Salad Chick's robust menu is a perfect fit for any guest. Today, the brand has 105 restaurants in 13 states and is continuing its rapid expansion with both franchise and company locations. 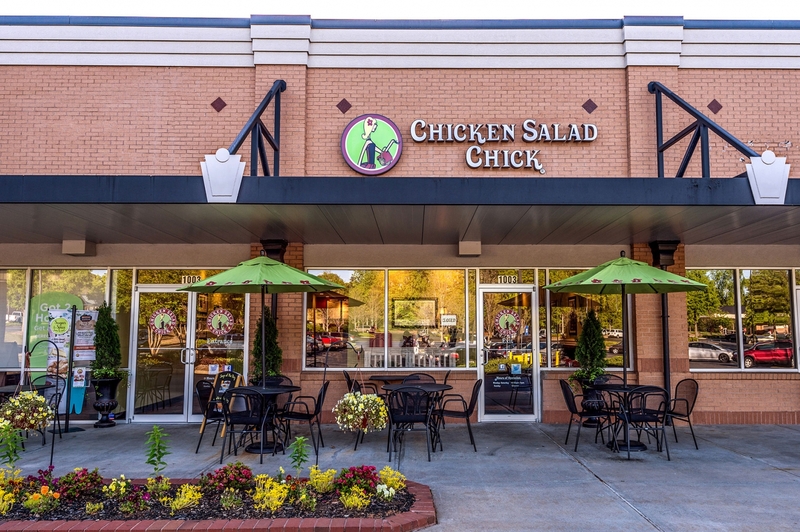 Chicken Salad Chick has received numerous accolades including rankings in Franchise Times' Fast & Serious in 2019, FastCasual.com's top Movers and Shakers, Nation's Restaurant News' Next 20 in 2017 and Inc.'s list of the 500 fastest-growing companies in the U.S. in 2016.